Today (5-2-17) the Northwest Prep Report released our 3rd site rebuild. Let’s just call it NWPR 3.0! Hopefully, this new site brings with it a chance for you, our readers, to get more involved and to be more a part of what we are doing. 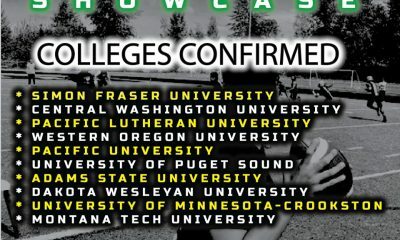 What we do here, all we have ever done is push the High School athletes of the Pacific NW into the National Spotlight. 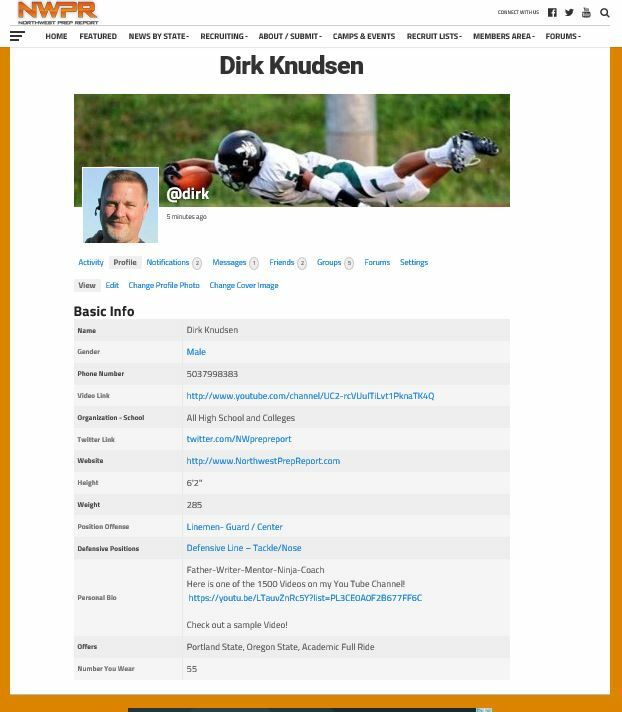 Starting out in this field 15 years ago with Rivals.com we, myself and our staff of volunteer coaches and writers, have moved the image and recruiting spotlight here in the NW from a 2.0 to a 7.5 on the Richter Scale. 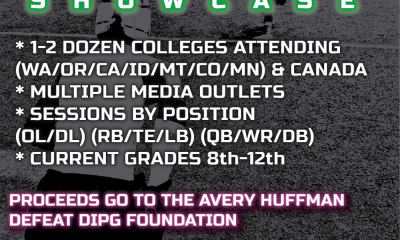 The work has included now 8,000 featured stories and tens of thousands of tweets and FB posts as well as many Camps and Coaching calls. 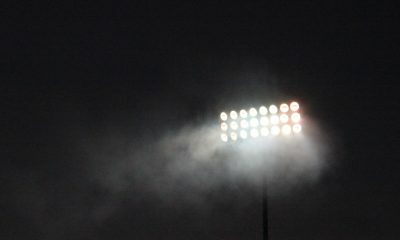 We need you all to help take the NW brand even higher. 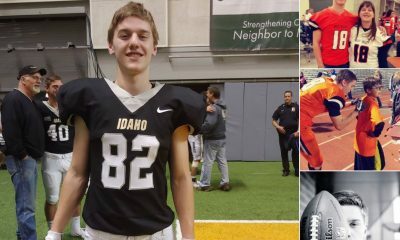 To that en, we are accepting Interns and Writers, Coaches who want to post in our forums, and Parents and Athletes who want to help. 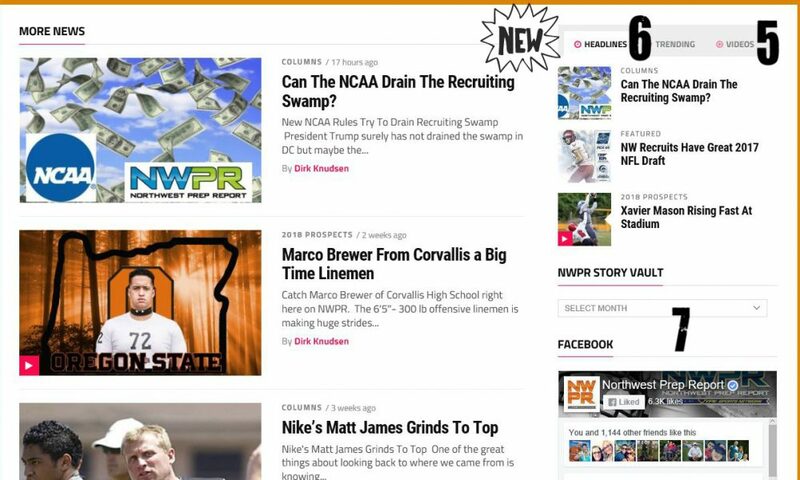 NWPR has long been a mainstay for people wanting a fair and honest approach to recruiting as well as Coaches wanting lists of recruitable athletes they can call on and offer. Match the #s on the Picture below with the Numbers in the post below. 1: Forums: We have 4 Open Forums Now for all of you to join in on and 4 Private Forums for Gold and Elite Members. Join Us Now! 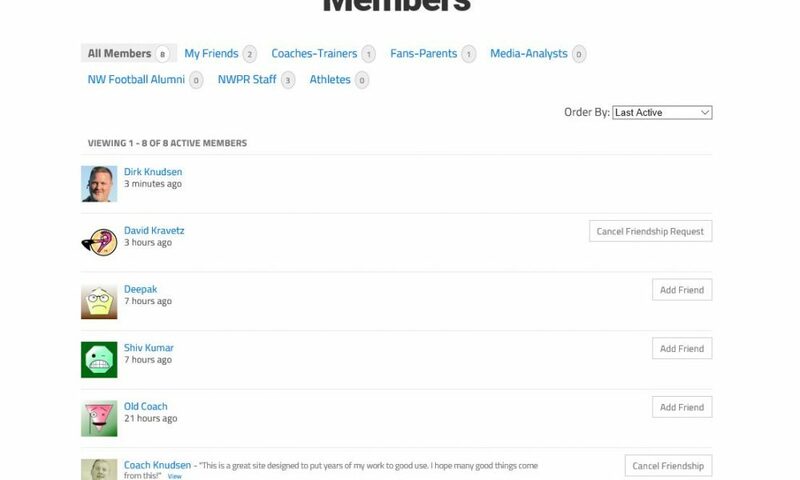 2: Members: You all can now have a Member Page or Athlete Page which gets you access to Forums and more and Coaches and other Members will see you and message and communicate with you! Everyone will want to have this created no matter if you are a Fan, Parent, Player, Coach, or Past Player. It is Free and easy to fill out! Set Up a Free Member Profile here! 3: Submit Your Athlete Info to Us here. Not needed if you join #2 above and create a Profile but if not go here and submit your info! 4: Featured Content– Better posts, better stories, better user experience. Check out the new look – Share and RT and enjoy! 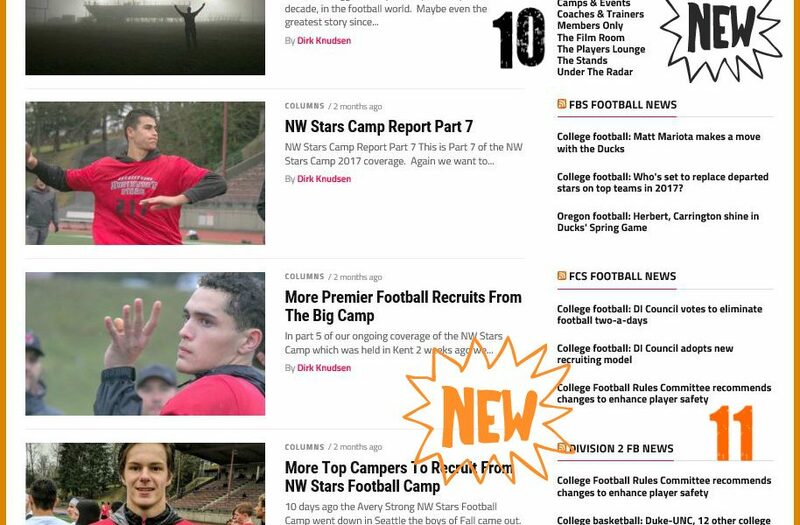 5: Videos: Each time we post a new story with featured Video you will find it here in this new cool Video Tab! 6: Trending Stories: Based on total reads and interactions these are the stories grabbing hundreds and thousands of reads! 7: Facebook Wall Posts: Much of what we do is not posted at the Website but at Facebook. A quick shout out or offer news etc. So make sure to follow this cool wall tool for the latest, Like Us and Join Us at Facebook! We are nearly 7,000 strong now at the greatest platform there is! 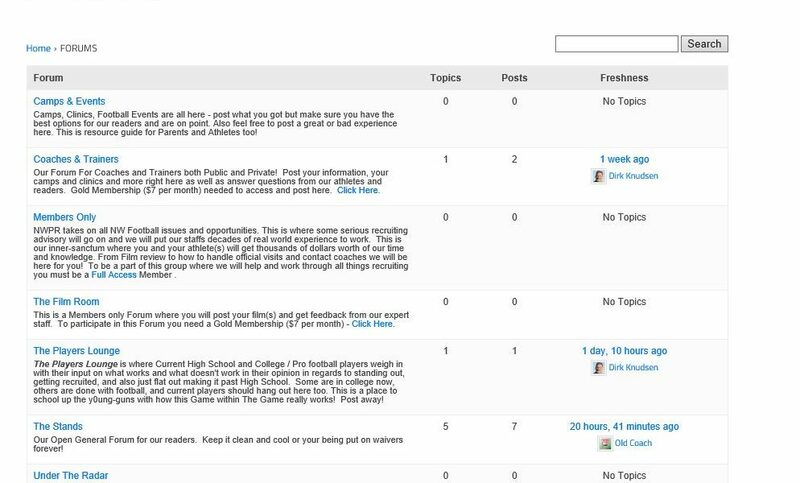 8: Twitter Posts: Some of the fastest action in recruiting and with NWPR is on Twitter. A quick shout out or offer news etc. So make sure to follow our Twitter posts here for the latest! Also please help us by ReTweeting the Latest and Joining our Twitter Members here! 9: Members: Want to see who has profiles on here? Click here and you will see a growing and constant stream of Members interacting and learning from each other. This is where the action is going to be as Members drive the NWPR Network forward as a true Powerhouse Community! Check out the latest Members here and Join us Here! 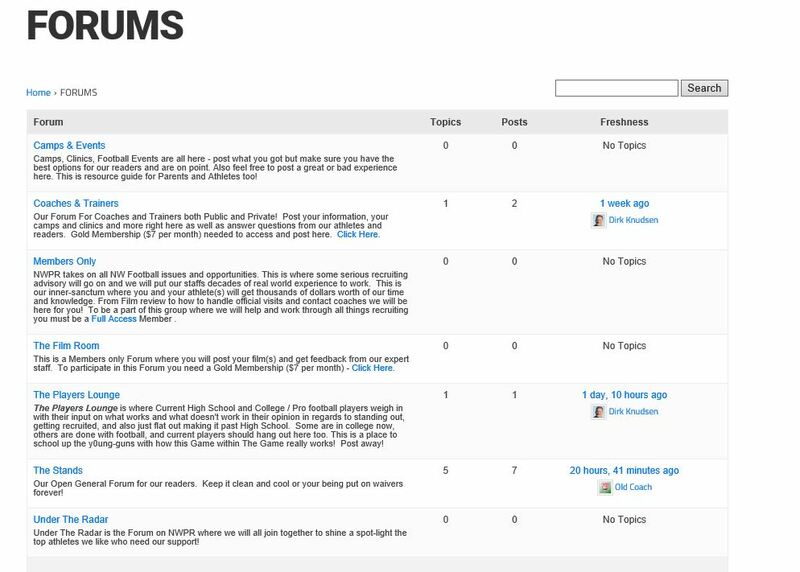 1o: Latest Forums: Another spot on the Website to click right into the action! Join Us and Chat it up! 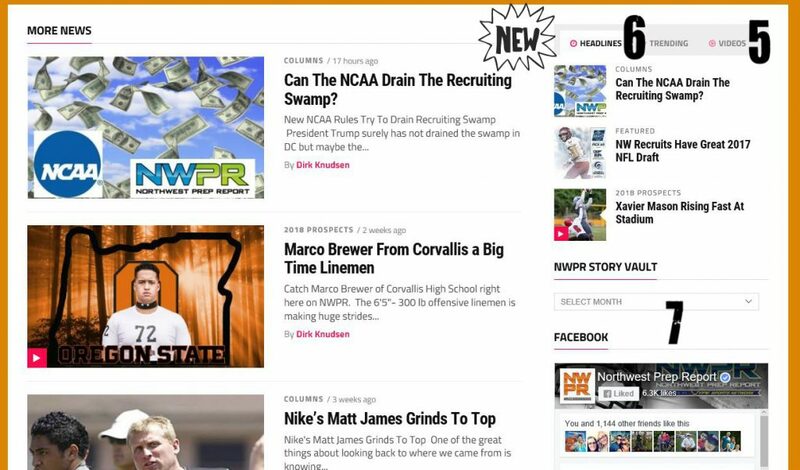 11: NCAA News Feed: The NWPR Staff is updating the website daily wth the latest from D1, D2, D3, and JUCO as reported by the NCAA and major National News Media. Watch the stories and info flow in here! Thank you to all of you who have helped NWPR remain an Independent Voice for the kids and schools of the NW. 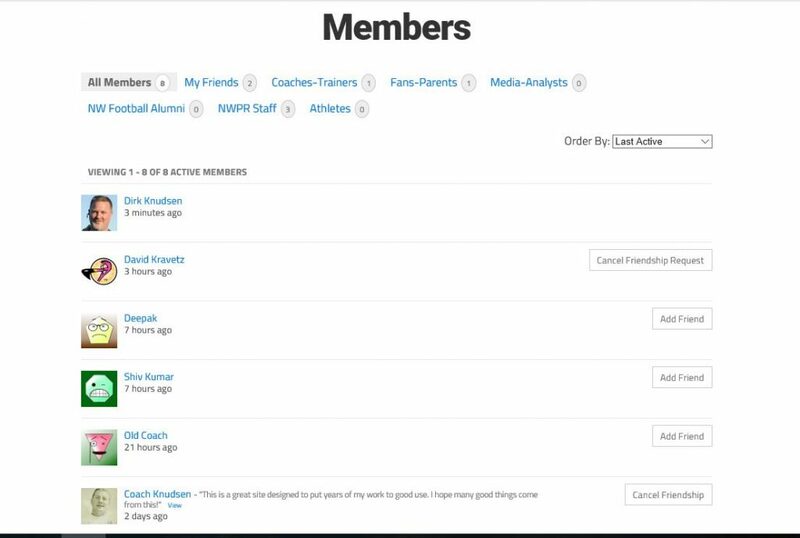 Because we are not a 7 on 7 Group, a trainer or facility, or a Recruiting Service charging thousands we are a fair and unbiased voice and source for News and Info. We pull no punches and may even throw one once and a while if it is in defense of the sport! Thanks to you all. For those of you just Joining us get into it! 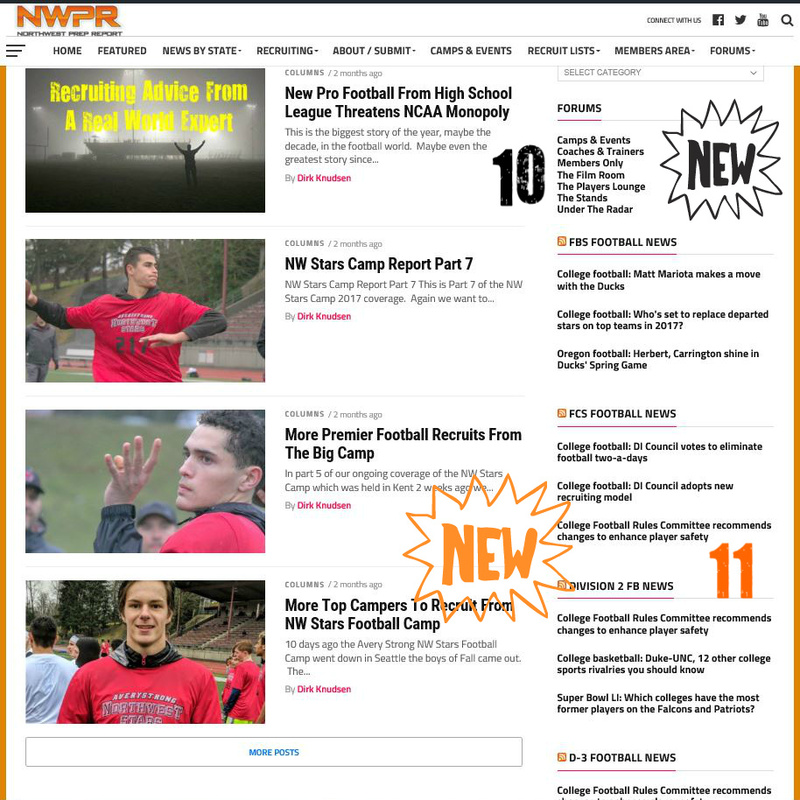 Help use make the Northwest Prep Report the best High School Football Resource anywhere for all of us! Join us no matter where you are from. Add to our Voice and add your opinions and experiences. 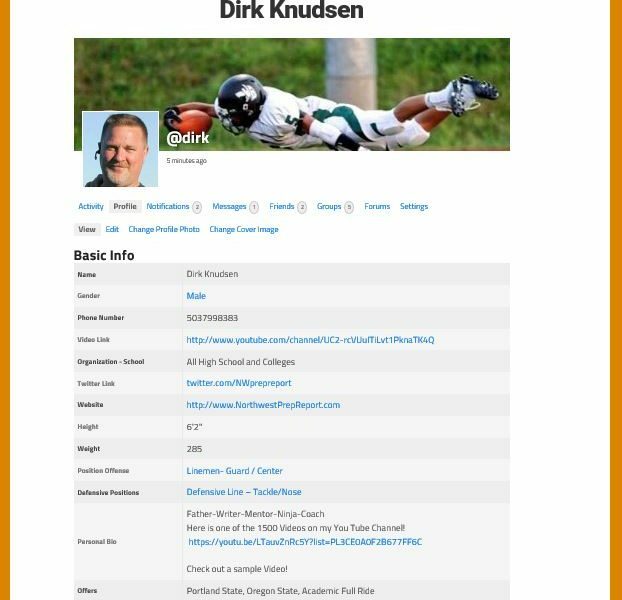 Being a part fo NWPR is a privilege and not a right so you will be banned if anything you do violates anyone’s rights or is deemed in any way at the discretion of the site to be less than positive and not helpful to our overall goals of making the NW the best High School Sports Region in the country.